StonemontQC includes the option of purchasing a plant add-on license. This is a single plant add-on that offers different features depending on the plant type. Currently, the plant add-on includes crusher sampling and plant flow modeling for aggregate plants and MobileQC, primarily intended for concrete plants. Crusher sampling is an aggregate plant add-on that provides the ability to record and track crusher information including crusher motors, wear parts, and crusher sampling results. StonemontQC provides all levels of users a consistent data entry interface, insuring reliable data entry for recording crusher feed and discharge gradations. The data entry form allows users to record a feed gradation and a discharge gradation. These results are then stored as a feed and discharge product sample result and are associated with the crusher. The intuitive layout of the data-entry form allow for quick and efficient recording of crusher sampling results and automated calculation of important crusher processing variables, and wear part iinformation. Automatic email alerts on quality and process result failures and whether required data entry fields were entered. StonemontQC provides many different analysis tools all designed to provide you with a unique and detailed analysis of crusher feed and discharge product results. Many of the analysis tools are available from the “Quick Tool” icons that provide your front-line staff easy access to some powerful statistical summary and charting tools. These can be used to assess the performance of current results against historical data, and detect potential issues before they become customer problems. In addition, generating any of the analysis types is simple, because the search form used to find data for various analysis tools is intuitive, simple to learn, and is consistent among similar tools. StonemontQC includes a crusher query form to allow users to query against against multiple parameters. For example, you could investigate all results from a crusher discharge product in which the CSS is less than 1/2 inch..
Multi-variable Charts – Compare process data against gradation or quality data, for example fraction tonnage yields versus the percentage of motor load and the closed side setting. Correlation Charts – Discover relationships between different types variables. For example, the relationship between percentage of motor load on a crusher versus the percent passing the closed side setting. Crusher Analysis – Quickly compare the difference between paired results for feed and discharge products associated with a crusher sample in a tabular format. Plant flow modeling is an aggregate plant add-on that provides the ability to mathematically model the flow of aggregate through a plant. It is a robust, integrated design tool that allows users to create and manage multiple plant flows at an aggregate operation. 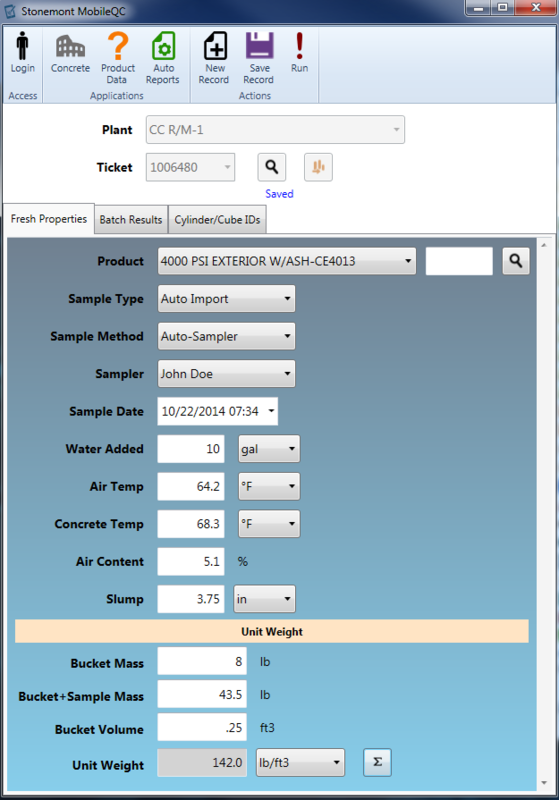 Users can drag and drop different plant elements onto a design window, connect the flow streams, manage properties of the different elements, and than run the plant. Plant modeling will indicate plant bottle necks and also allow users to find bottle necks in the plant by optimizing on feed rates, conveyor capacity, and / or screening capacity. In addition, a full set of quick summary reports, and charts are available for any element or multiple elements in the design. Plant modeling in StonemontQC is unique due to its integration with aggregate products. 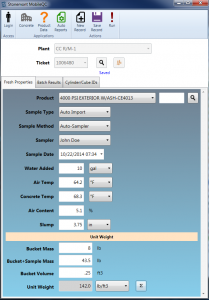 This integration allows users to use actual crusher data and load product gradation results from aggregate products to compare to the model predicted results. This allows you to calibrate your model using observed data prior to proceeding with “What If” scenarios. Crusher Models developed using crusher tests dynamically change the crusher discharge gradation based on changes to the feed gradation resulting from things like crusher and screen changes. zoom and pan and rotation capabilities. Mobile-friendly enterprise applications are useful when they improve the productivity of the work-force. To that end, we have created Stonemont MobileQC, an application designed specifically for a tablet-size mobile device for the mobile quality control or sales person. A mobile device is generally defined as a portable computing device such as a smartphone or tablet computer. However, generally speaking laptops and today’s hybrid laptop/tablets also can be considered mobile devices. Mobile devices have a smaller footprint, hence smaller screen sizes, which is an important consideration when contemplating mobile-friendly applications. Currently, MobileQC supports three functional areas: Concrete, Product Data, and Auto Reports. You can specify a default functional area to load automatically using your general options in StonemontQC. MobileQC supports entering concrete fresh properties and water added on the job site. If one of the fresh properties is out of specification an email can be automatically generated just like in StonemontQC. Additionally, if StonemontQC is integrated to a concrete dispatch/batch system then MobileQC can import batch results for a specified ticket. It also can summarize the batch results and if the plant is using batching specifications, such as ASTM C94 or any other user-defined specification, then the tolerances and out-of-tolerance information will be shown with the batch results. The batch results view pane shows similar information to that which is automatically sent via email when a batch is out-of-tolerance when using the StonemontQC Batch Monitoring service. MobileQC also can create unique cylinder/cube ID’s that can be used to label the casts. MobileQC supports a real-time query of product results, which can be very helpful to mobile quality or sales personnel that require current data for improved production control or customer service. This feature is supported for aggregate, asphalt, and concrete plants. MobileQC supports viewing auto-reports, which can be extremely useful to sales personnel that don’t need real-time information. Typically, customers using our Enterprise or Hosted Editions will use auto-reports to automatically generate and email weekly summary reports to sales personnel. Now, rather than having to find these weekly emails to view auto-reports sales personnel can simply login to MobileQC and view them. MobileQC is a multi-functional application that may be useful for a variety of personnel within the organization. However, we plan on keeping its functionality focused on doing a few specific tasks that will assist the mobile user.